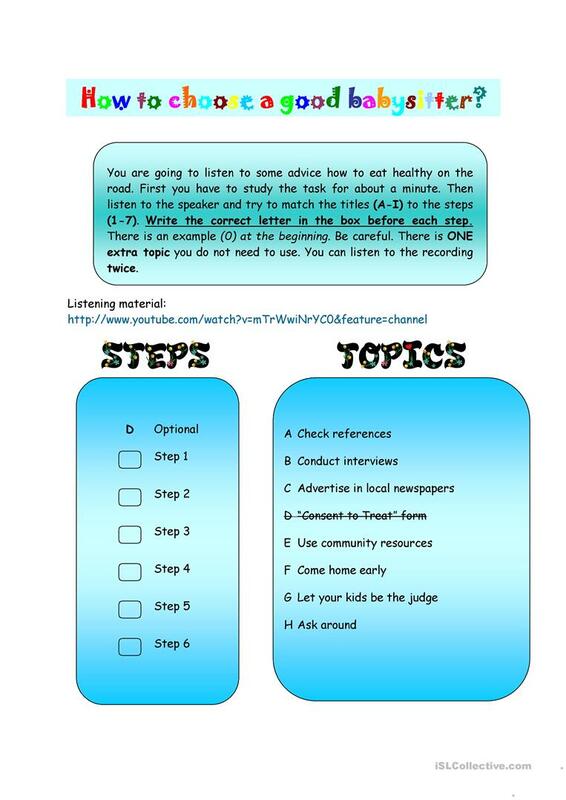 In this listening task the ss have to match the topics to the steps. You can find the task, the solution, the text and the reach of the listening material (youtube video). There are similar taHope you like it and find it useful.sks like this in lots of language exams. 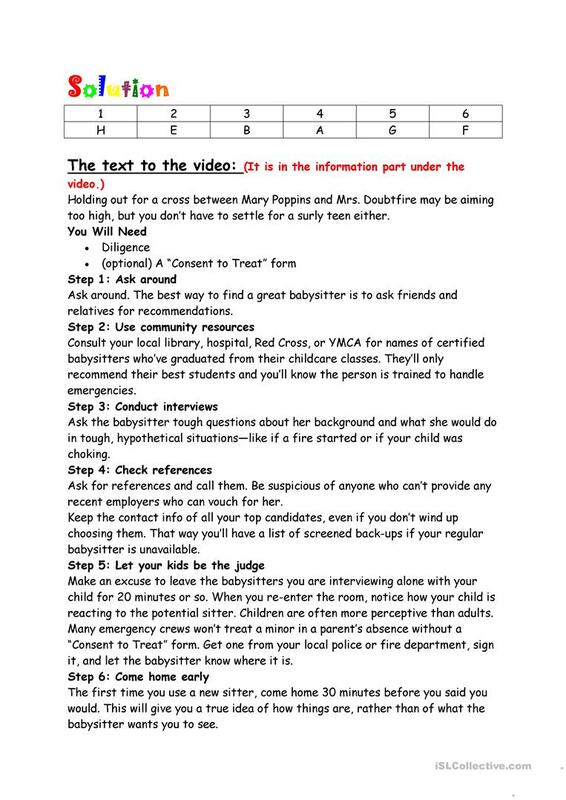 The present downloadable handout is intended for high school students and adults at Upper-intermediate (B2) level. It can be used for honing your learners' Listening skills. The exercises come with the answer key.